Relax for a week in Uvita and enjoy your vacation at a coastal rainforest eco lodge, luxury or boutique hotel, resort and spa, bed & breakfast, private house rental, local hostel or cabina. The towns of Costa Ballena -from Dominical, Uvita, and Ojochal- have a variety of places for visitors to stay. From budget travelers to big spenders, the Uvita and Costa Ballena hotel selection offers visitors charming local cabinas, luxury hotels, small exclusive boutique hotels, bed & breakfast, resorts and spas, coastal rainforest eco-lodges, house rentals and more. Visitors will enjoy their vacation to Uvita no matter where they stay! Complementing the Uvita hotel selection are exotic cuisine and local restaurants called “sodas”, all of which can be found in the towns of Dominical, Uvita and Ojochal, the Costa Ballena of the South Pacific, Osa, Costa Rica. La Cusinga Lodge is a coastal rainforest ecolodge dedicated to marine and terrestrial conservation and environmental education. Its location on the southern Pacific coast provides guests with sweeping ocean views and a relaxing beach vacation. La Cusinga Lodge is part of a private nature reserve that supplies the visitor with an unparalleled look at Costa Rican wildlife and rainforest. The reserve consists primarily of 250 hectares of virgin rainforest that borders thousands of more acres of privately protected forest. On Costa Rica ‘s still wild south-western Pacific coast, La Cusinga Lodge borders Ballena Marine National Park which was developed to protect the humpback whales that frequent the coast. La Cusinga Lodge was established in order to share the unique site with Costa Ricans as well as international visitors. Besides getting exposure to rural Costa Rican culture and beautiful vistas, La Cusinga Lodge visitors have access to highly prolific areas of primary tropical rainforest and unspoiled coast, all conveniently accessible. Where luxury is still a value – and the experience is unforgettable. High on a rain forested mountainside overlooking 3,000 square miles of blue Pacific, Marino Ballena National Park, Osa and surrounded by a lush, 250 acre private rainforest preserve, Rancho Pacifico is an adult-exclusive, small luxury Eco-Hotel (5 villas, 5 suites) that feels like a sprawling private estate. Boutique in every way, RP offers unexpected service, quality and experiences for a hotel of it’s size – eclipsed only by it’s hospitality – from a full time staff of 22. From a Private Beach Cabana to contemporary tropical cuisine, a one-of-a-kind treetop spa and spacious, private villas and suites. From our own 4wd vehicles for convenient transportation to contemporary fine furnishings, comfortable relaxation spaces and zen-modern style. We go the extra mile to care for our guests in a way that goes beyond typical 5 star service. If you are a nature lover who likes comfort and the unconventional appeals to you, RP won’t disappoint. Oxygen Jungle Villas is a small-scale, exclusive and privately owned Balinese style boutique resort hotel. 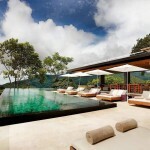 Located in Uvita, inthe middle of the Costa Ballena, Costa Rica’s South Pacific hotspot. Beautifully designed, fully equipped and air-conditioned villas, amidst tropical rainforest surroundings. 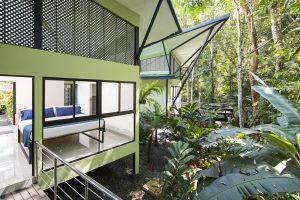 At Oxygen Jungle Villas, dawn is greeted by sounds of playful monkeys, toucans, parakeets and many more potential visitors to your own vacation villa. All this only minutes from the charming full service village of Uvita and some of the most pristine beaches in the world found in the Marino Ballena National Park. Located just 5 minutes south from Uvita is the Hotel Resort & Spa Cristal Ballena, a 4-star hotel, in walking distance to the Marino Ballena National Park, at the South Pacific area of Costa Rica. Hotel Resort & Spa Cristal Ballena is situated amongst 12 hectare (30-acre) private tropical rainforest, on a hill overlooking the Pacific Ocean and rainforest-covered mountains as the backdrop. The position of Hotel Resort & Spa Cristal Ballena allows visitors a breathtaking ocean view with a cooling breeze coming from the mountains. The beautiful 4-star hotel is designed in elegant Mediterranean style with an open café-style Bar and Restaurant. 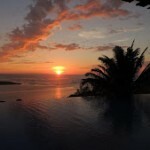 The hotel has some of the most amazing daily sunsets that visitors will never forget! Costa Rican Luxury – If your vacation dreams have ever included a villa in the Costa Rican jungle – you’ll relish the new Paradise Breezes. 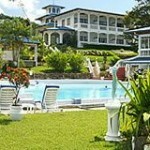 Paradise Breezes is a 10 acre luxury vacation villa destination on Costa Rica’s central pacific coast. The villas are set overlooking the pacific coast surrounded by lush tropical jungle just 1 km (as the Toucan flies) from the beach at Dominical, and 15 km from Uvita, Osa, Costa Rica . Nested in Ojochal de Osa, Yabá Chiguí Lodge opens the gate to pristine beaches, lush rain forests, cascading waterfalls and meandering mangroves. The lodge provides a Bed & Breakfast service, in an intimate environment with just four bungalows, a reception/dining area, a salt-water swimming pool and a massage room. The tropical gardens surround the modern bungalows which have been built on stilts, with high rooftops, with grilles that allow natural ventilation and large windows which bring in natural light. 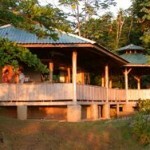 The design has been thought to experience all the outside natural beauty, from the comfort of your bungalow.